Two weeks ago, we began our look at the fifteenth chapter of Acts, in which we learned about the Council of Jerusalem. As I suggested then, this council was important for the early church. The question was “who belonged in the church.” Some wanted to limit membership to those who were Jews or who had undergone the conversion process of becoming a Jew. These people were disturbed as Paul began to reach Gentiles for Christ. Change is always hard. Soon there’d be more Gentiles than Jews within the church. So the Council was convened and after much debate, James spoke for the Council and pronounced that Gentiles would not have to become Jews in order to become a part of the church. For those of us who are not Jews, this is good news. Council could have just sent the letter they’d written to the Gentiles and be done with things, but that’s not what happens. This is such an important decision that they send a delegation back to Antioch with Paul and Barnabas. This is where our reading today begins. Read Acts 15:22-40. Words are important. There are a lot of things we can learn from books. (At least I hope that’s true as I have enough of them.) But there are times when face-to-face connections are more conducive to achieving positive results. I hope you understand how the presence of another person with knowledge can help us grasp information in a way we can never learn from reading. It’s mentoring, which is important for us as we mature within the Christian faith as well as well as in industry and business. When I was a kid, magazines used to have a number of advertisements for correspondence courses. You could take a correspondence course to be a locksmith. That didn’t sound interesting to me. You could sign up for a course in shorthand, but that really didn’t sound interesting. 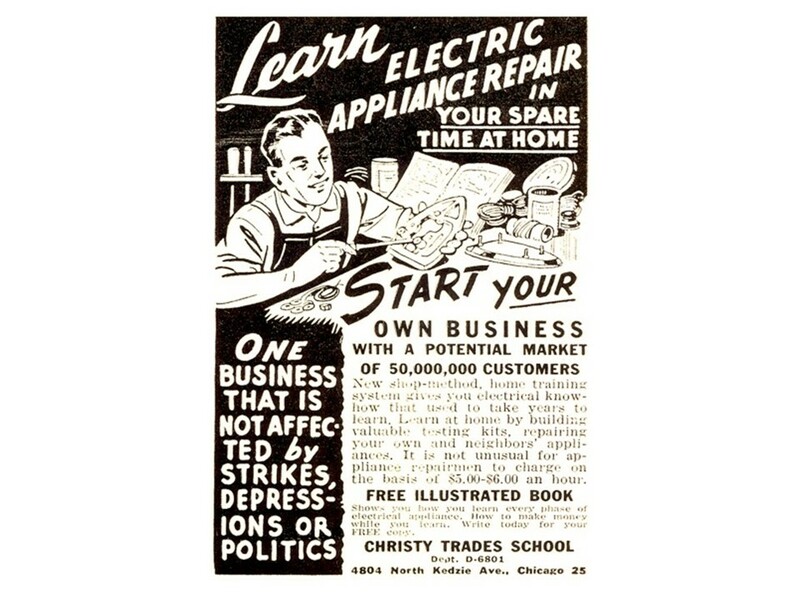 But you could also take such a course to learn about radios and electronics. That was something I was interested in even though my parents said these courses were a waste of money. But then a man at church learned of my interest in radio. Mr. Conaway invited my brother and me to come over to his house one evening. He was an amateur radio operator and when we went into his radio shack, our tongues were drooling. He fired up his radio and we were soon chatting with people across the country. And then he made us an offer. If we were interested and willing to work and study, he’d help us earn our license. Over the next year, we learned Morse code and radio theory and a host of rules and regulations—a lot of stuff for a seventh grader. We took the FCC exam and passed. We stripped out an old TV for a transformer and certain tubes and built a CW or Morse code transmitter. He came over and helped us rig a long-wire dipole antennas above our house. Soon we had our own radio outfit in our bedroom. For the next few years, much of my life centered on that radio. I eventually got interested in other things, but I can assure you, if I had taken that correspondence course, I would have not learned nearly what I did from Mr. Conaway. In our text today, we see the importance of personal connections. The Jerusalem Council could have just sent a letter to Gentile believers, but they went one step further. They sent mentors, ambassadors! In verse 24, they mention those whom we learned of earlier, who came to Antioch from Judea and questioned the validity of the salvation of Gentiles. The Jerusalem Council wants to make it clear that those rebel rousers were acting on their own. In the letter, they list those they are sending with the news as a way to give them authority. The group included both Paul and Barnabas, along with Silas and a guy named Judas. We’re going to hear more about Silas, starting next week, but this Judas (who had the misfortune of being named for the traitor) is only mentioned here. These four are chosen by the consent of the whole church and have the authority to back up what’s said in the letter. The Gentiles are free from the Jewish law, although they are to avoid that which might connect them with pagan idolatry. In verse 30, we learn that this delegation is well received in Antioch and that they stay for some period of time encouraging and strengthening the believers. After a while, Silas and Judas return to Jerusalem, while Paul and Barnabas stick around. But their feet are getting itchy and after a few days, they decide it is time to head off and check on the fledging churches they’d organized in Cyprus and what we now know as Central Turkey. Again, they could have just written them a letter, checking in on them and offering encouragement, but as it was with the Council of Jerusalem, they see value in personally visiting the congregations. 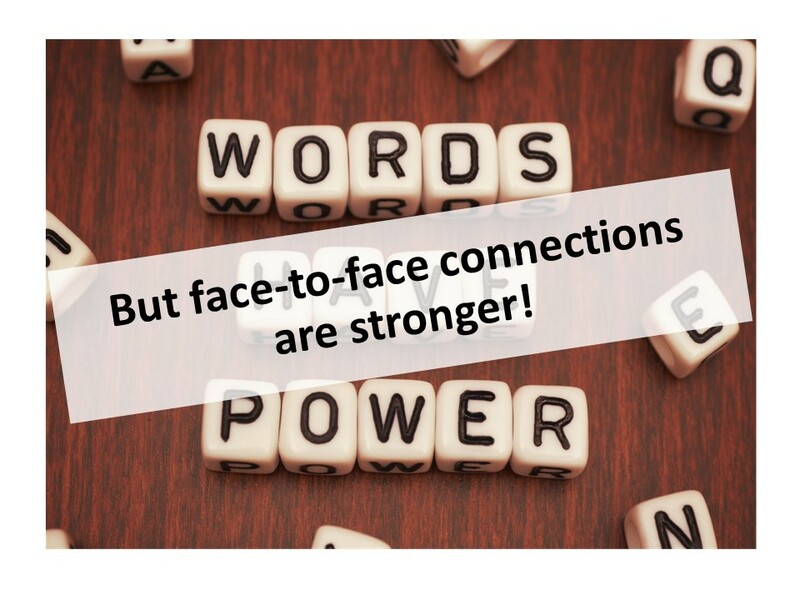 Face-to-face is always better than a letter (or a phone call, a text or an email). However, this good and noble idea of Paul’s leads to a conflict. Barnabas wants to take along his cousin Mark, but Paul remembers how he had deserted them on their earlier trip and refuses. Luke tells us that this argument became so heated that eventually Paul and Barnabas split up and go their separate ways. Barnabas takes Mark and heads off to Cyprus, while Paul sends for Silas. Poor Silas, he’d just gotten back home in Jerusalem and was probably rubbing his tired feet when he receives to call to hasten back to Antioch so he can join Paul on what will become his second missionary journey. 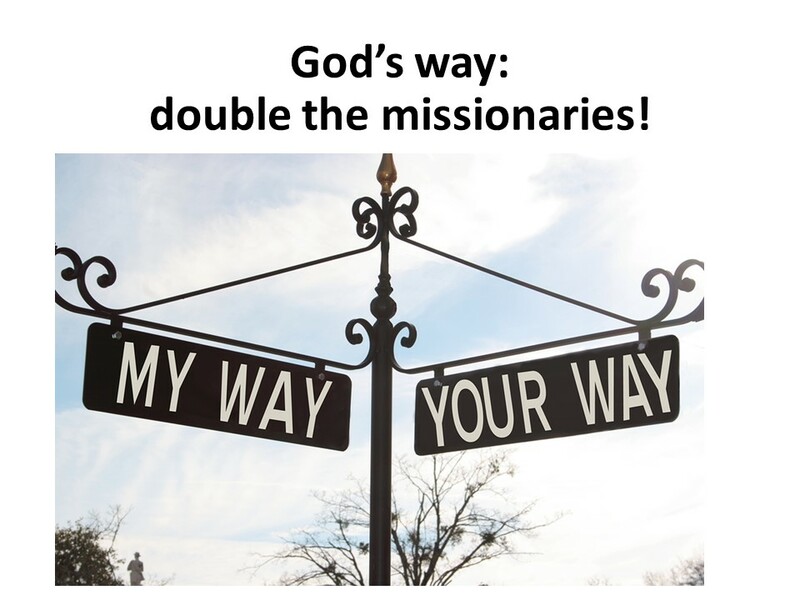 The good news is that God was able to work through this conflict to double the missionary efforts of Paul and Barnabas! This passage reminds us of our role in carrying out the important Christian doctrine of the incarnation. We think of the incarnation at Christmas, with God coming to us in as a child. The word implies a person who embodies the deity. Jesus is the incarnation of God, but we who are followers of Jesus also embody God as we carry the message to others. This is why presence is important, but I’ll get to that in a minute. Just as the Council of Jerusalem sent the Gentiles a letter of what they should do, God reached out to Israel, giving her a “letter” of what to do on Mount Sinai. We know it as the Law. But sadly, the Law became impossible to follow and so God, in his divine plan, does some totally remarkable. God comes to us! And God then, in Jesus Christ, sends us out into the world. Just as those in Jerusalem went to Antioch, and Paul and Barnabas and company visit the outlying churches, being involved in God’s incarnational ministry means we reach out to others. We are to reach out and listen. We may not be able to fix everyone’s problems, but we show empathy and remind them of God’s presence. 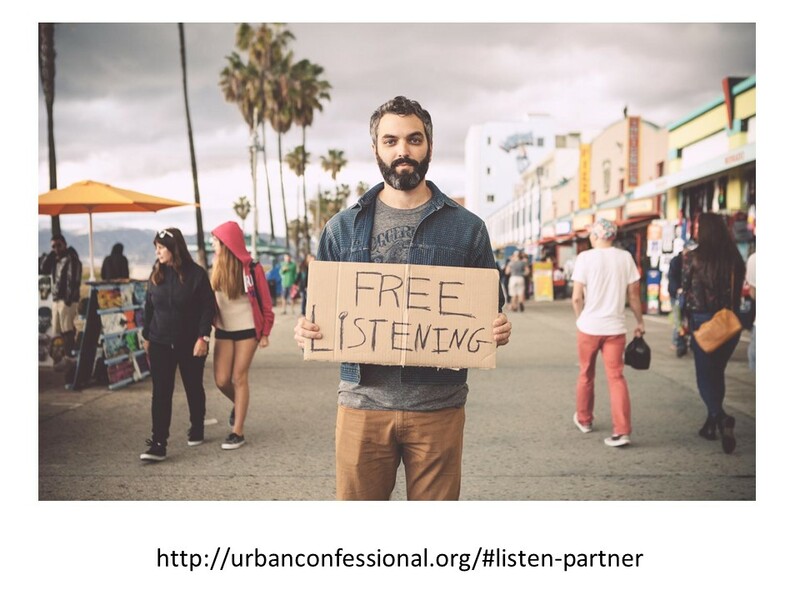 There is a movement called the “Free Listening Project” that encourages listening. When people are listened to, they feel loved. You get it! When someone like John Vergoz goes into the prison and sits down beside men who have been incarnation for long, he shows that he cares and they are still valued as a human being. While I was away last week, I got reports from Dave Dawson and Don Holck on how Ed Stewart was doing in the hospital. Such visits reflect the face of Jesus! The same goes for those of you who sign up with Marcia Dodd’s call to take communion to shut-ins or for folks like Lori Harris who serve children and families with her volunteering with CASA. There are those of you who volunteer in struggling schools, who work at Bethesda, and who work with Faith and Practice in Guatemala. This is a part of who we are as followers of Jesus. Human contact is important. It is how we show Christ to the world. Many years ago there was an advertising group that developed a series of ads local churches could buy for a low price and use in print media. One of the advertisements had a clergyperson in robes extended from a TV set (this was before flat screens) with a chalice and loaf of bread. The caption asked, “When was the last time you received communion from a TV preacher? I felt it was an effective ad. Jesus knows the importance for us to be in community which is why he promises to be where two or more have gathered. Jesus never set us up to be lone ranger Christians. We live out our faith in community. How might you further Christ’s work through this community known as Skidaway Island Presbyterian Church and through your network of friends and acquaintances? Is there someone you can reach out to that needs a helping hand? Are there those who could benefit from your concern during an illness? Is there someone in need of an encouraging word? A smile? A listening ear? Reaching out in the name of Christ is what discipleship is all about. Let’s do this. Amen. F. F. Bruce, The Book of Acts: NICNT (Grand Rapids: Eerdmans, 1986), 315. Acts 13:3. Mark is also known as John Mark and John. As for a cousin of Barnabas, see Colossians 4:10. Galatians hints that Paul may have had a theological argument with Barnabas. See Galatians 2:11-13. Bruce, 318-319; Beverly Roberts Gaventa, Acts (Nashville: Abingdon, 2003), 231.